Mazda’s new-generation flagship Mazda 6 has arrived at Northampton Motors following its unveiling at the Paris Motor Show on 27 September 2012. Prices for petrol models will start at £19,595 OTR for the 2.0-litre 145ps Saloon SE, rising to £24,865 for the 2.0-litre 165ps Tourer Sport Nav. Diesel variants start at £21,795 for the 2.2-litre 150ps Saloon SE through to £28,045 for the 2.2-litre 175ps Tourer/Saloon Sport Nav Auto. The all-new Mazda6 – now in its third generation – is the first mass- production Mazda model to be equipped with i-ELOOP, the Japanese company’s unique brake energy regeneration system. Fitted as standard to the majority of Mazda6 models sold in the UK, this innovative system can boost economy by up to 10 percent with combined fuel economy as high as 67.3mpg and emissions as low as 108g/km – without any sacrifice in performance – based on CO2, depending on driving conditions. The SKYACTIV-Body offers class-leading impact protection thanks to highly rigid impact-absorbing structures and innovative load paths to disperse energy away from the cabin. To help the driver avoid accidents, the all-new Mazda6 features an impressive array of advanced active safety technologies (depending on model) such as radar-based Rear Vehicle Monitoring, Smart City Brake Support (SCSB) and Lane Departure Warning System. Even when a collision is unavoidable, passive safety technologies work to diminish its severity for occupants and pedestrians – and even the vehicle itself. Passengers will appreciate the relaxing atmosphere in the cabin, which features segment-leading passenger space on the Saloon models, accompanied by the latest infotainment technology, including an 11-speaker BOSE® surround sound audio system, available on Sport models. Specially developed to highlight the features of the Mazda6’s KODO design, Soul Red Metallic is an all-new body colour, which uses a unique process to deliver unprecedented levels of depth, shading and vividness that accentuate all-new Mazda6’s stunning form and character lines. 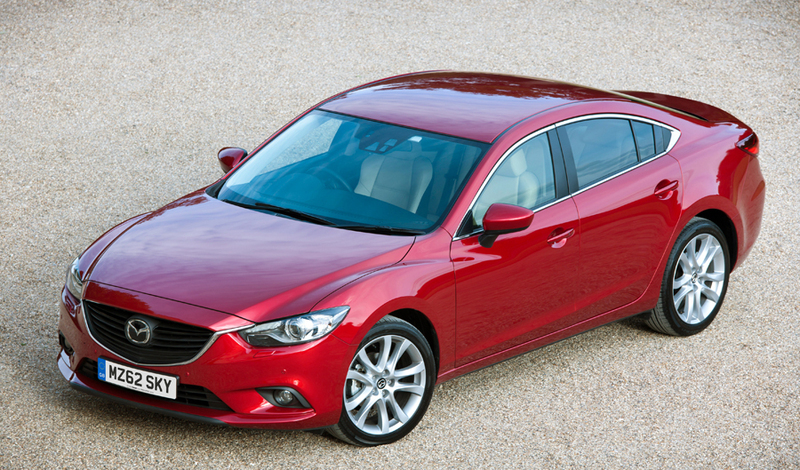 Blue Reflex Mica, Meteor Grey Mica and Jet Black Mica also debut on the all- new Mazda6.